Yes, I am massaging my kale! 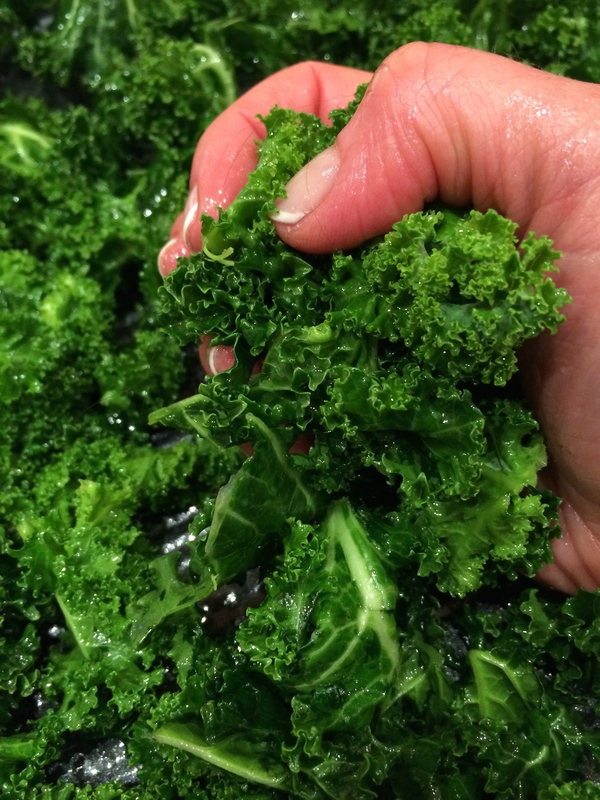 Massaging the kale softens its fibrous texture. This is particularly helpful if you’re serving raw kale. Kale is a very trendy vegetable right now, but is quite nutritious. It actually has more than twice the amount of vitamin C as an orange. There are many kale recipes available, but I like this recipe because it combines sweet, juicy mango and lightly salted seeds. Literally just ate this. Very light and refreshing. Mango adds a nice touch. Kale tasted very massaged. Haha. I am jealous of Pam’s kids because they get to eat this stuff every night. I recently tried to replicate a delicious salad I had on vacation – my first kale salad ever! It didn’t quite taste the same. After reading this, I think it had to be the massage that made the difference, so I can’t wait to try it again. And I love the addition of the honey and pumpkin. Being healthy can truly be delicious! Thanks for this recipe. Just made the kale salad, can’t believe how well the tip of massaging the kale works!! Very fresh and yummy salad. I think I’ll make it, too! It was fun massaging kale with you recently, Pam! Made this for a group over the weekend-it was a hit! Very fast to put together-really like the dressing!